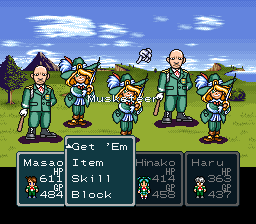 This is an RPG. 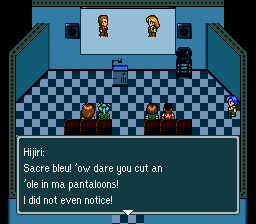 Apparently it’s one of those fabled wacky, or, dare I say it, quirky RPGs. 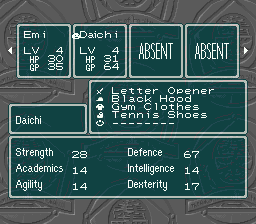 I don’t know much about it, except you attend this school, and you can join clubs, and gain abilities from those clubs, FFV-style. So cool. Yeah. 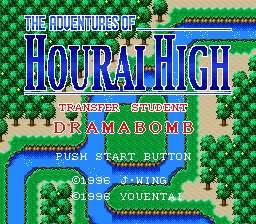 The Adventures of Hourai High is a silly little RPG, with a Dragon Quest combat presentation, a Final Fantasy 5-ish class system, and a sense of humor straight out of Earthbound. 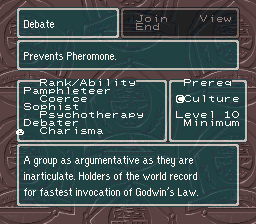 You can tell that a lot of heart went into the creation of this game. It’s quite charming!